Chelsea moved one step closer to securing their first Premier League title since 2006 with a 2-0 win at Anfield against Liverpool. Goals in either half from Didier Drogba and Frank Lampard mean the Blues head into their final league fixture next weekend, at home to Wigan Athletic, knowing a win will guarantee top spot. 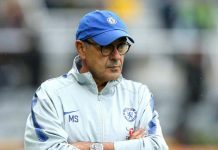 The only change Carlo Ancelotti made from last Sunday’s crushing of Stoke was predictable, with John Terry returning from suspension to replace Paulo Ferreira; Branislav Ivanovic shifted across to right-back. The game started slowly. Alberto Aquilani offered a threat from distance, skimming the top of the crossbar after ten minutes before Ivanovic denied the same player when he raced through on goal. Chelsea seemed a little nervous, notably in the final third, so it came as a welcome surprise when they opened the scoring after 32 minutes. It was Steven Gerrard, of all people, that made the defense-splitting pass; unfortunately for him, it was his own defense that was left exposed by his under hit pass back to Reina. Drogba pounced, taking the ball around the Spaniard before slotting into the unguarded net. It was the Ivorian’s thirty third goal of a majestic season, and paved the way for a comfortable Chelsea victory. We might have doubled our lead immediately only for Lampard to fire wide from the edge of the box after excellent work from Salomon Kalou and Ashley Cole. Suddenly it was all Chelsea. Next to be thwarted was Anelka, denied by a brilliant Kyrgiakos sliding tackle when about to pull the trigger. The game’s really controversial moment arrived in stoppage time at the end of the half. Kalou did magnificently to poach the ball ahead of Mascherano and race clear. Bearing down on goal with just Reina to beat, he tumbled under a challenge from Lucas. Referee Alan Wiley put his whistle to his mouth but didn’t blow, waving away the inevitable Chelsea protests. Even the normally placid Carlo Ancelotti looked furious on the touchlines. Replays suggested that Kalou had tripped himself over, but only having been critically nudged by Lucas. 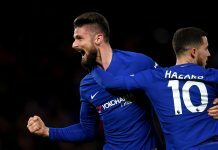 Chelsea managed to use their sense of injustice at the decision in a positive manner at the beginning of the second period. 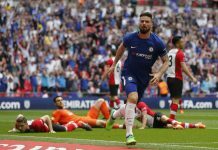 With Liverpool starting to show the effects of Thursday night’s grueling encounter with Atletico Madrid, Chelsea seized the moment and grabbed a second goal. Drogba put Anelka through and the Frenchman’s cross was turned home by Lampard for his twenty sixth goal of a remarkable campaign. Three minutes earlier Anelka should have scored but tantalizingly failed to connect with the ball from barely two yards out, Kalou having made the chance with a mesmeric run. At that stage it looked like Liverpool would wave the white flag, but they nearly clawed themselves back into the game when substitute Ryan Babel stole the ball off John Terry and bore down on Petr Cech’s goal. The magnificent Alex arrived just in time to clear the ball for a corner. That proved to be Liverpool’s last real sight of goal in the game. A fluent counter-attacking Chelsea side could and should have extended their tally. Anelka was denied at the far post by Reina, and from the resulting corner a well-struck volley by Malouda was somehow saved by Reina. Anelka drew one more decent save out of Reina, and the final ten minutes was played out in relative comfort for the Blues against a weary and dispirited Liverpool side. The travelling contingent could really start to celebrate, labeling the home side as ‘Ancient History’, before asking for, and eventually receiving, a wave from Ancelotti. 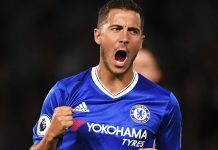 Manchester United might have won later that day but it could not put a dampener on an excellent and vital Chelsea win, coming under huge pressure. Whilst Liverpool offered little and set the Blues on their way, courtesy of a certain Mr Gerrard, the result was thoroughly deserved and the performance professional if not overly flamboyant. It sets up a big game on Sunday against Wigan, but if the Blues show the same sort of ruthlessness that they have in the past two games then the Latics will surely return home the same way as 16 other Premier League teams this season: empty-handed. The same cannot be said of Chelsea.